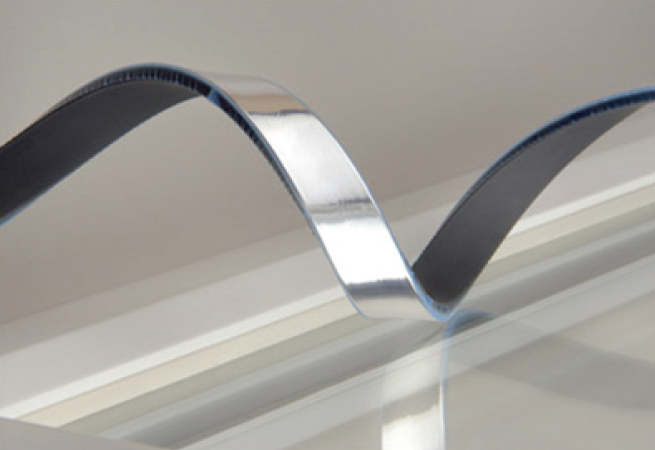 Super Spacer Warm Edge Bar - DGS Group Plc. Super Spacer is a warm edge flexible structural foam with built in desiccant. There is an adhesive layer on each edge of the strip to locate the spacer in the correct position relative to the edge of the glass. This adhesive layer securely fixes the strip and once the second piece of glass is positioned, the unit can be handled immediately and moved to a suitable place for application of standard edge sealant.